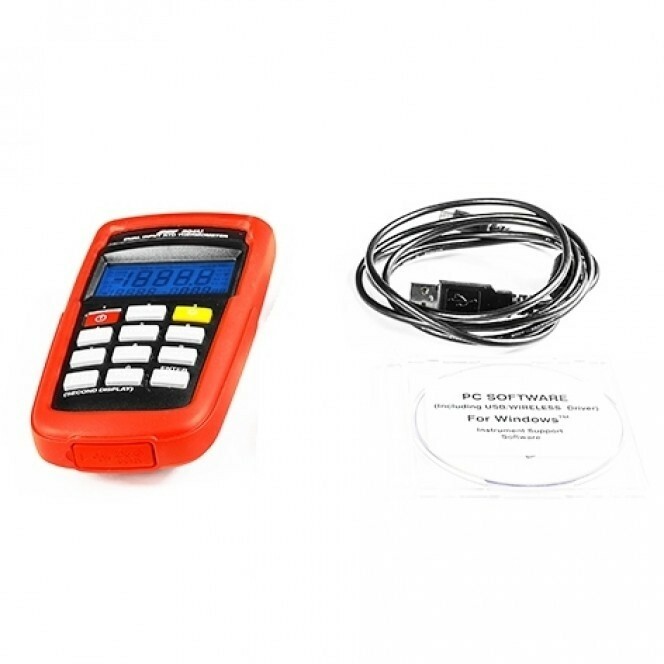 Price includes Thermometer and case. Add choice of 2 probes from the dropdown menus at extra cost (see below for details). USB Port provides excellent user interface. Pt3916/ Pt3926/ Pt385 RTD standard. MAX/ MIN with elapsed time, AVG, REL, HOLD function. Warning beeper with Hi/ Lo setting. According to temperature standard ITS-90. 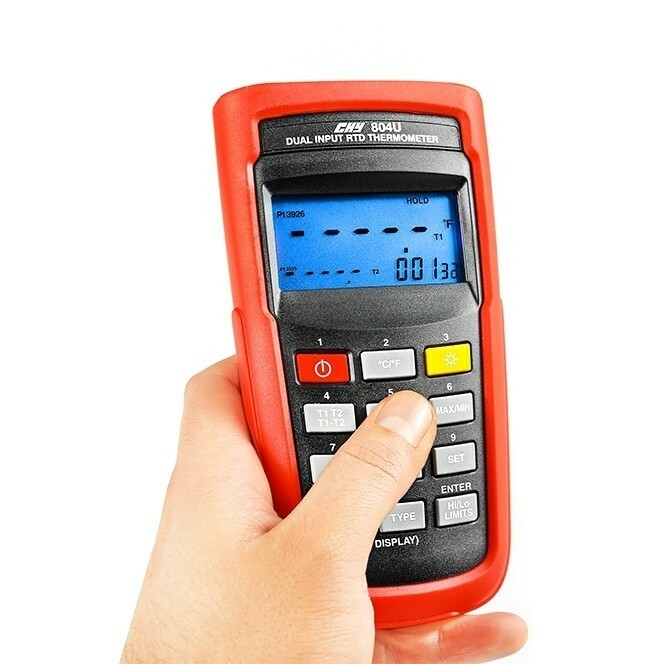 Low battery indication: The “63” is displayed when the battery voltage drops below the operating level. Operating environment: 0°C to 50°C at<70% R.H. 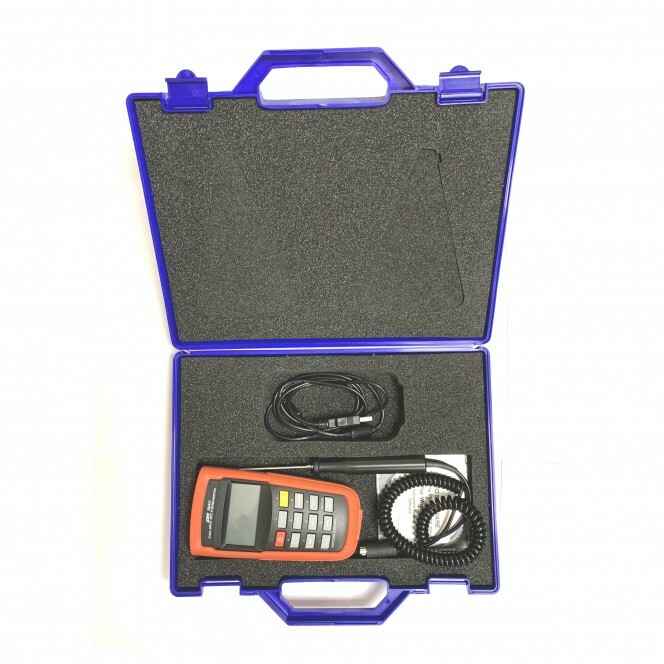 Storage temperature: -20°C to 60°C, 0 to 80% H. with battery removed from meter. Weight: approx. 255g including batteries. 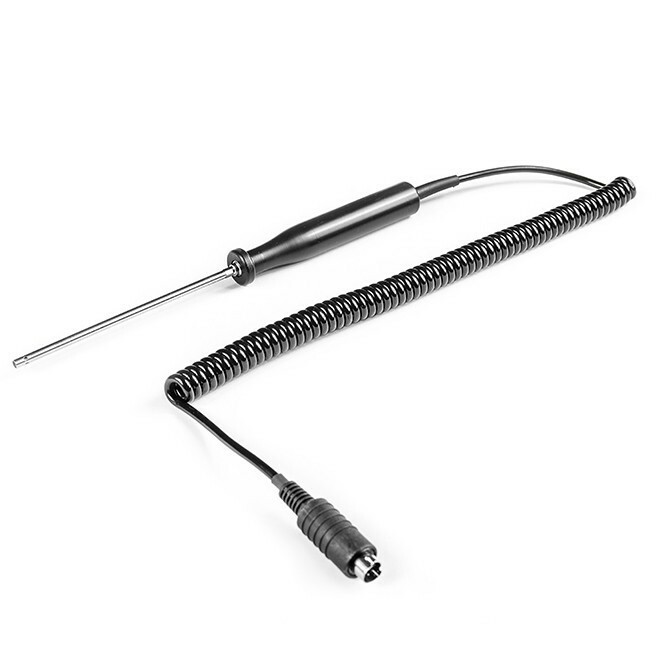 Mineral Insulated Immersion Probe with a rounded tip suitable for semi solid and liquid temperature measurement. 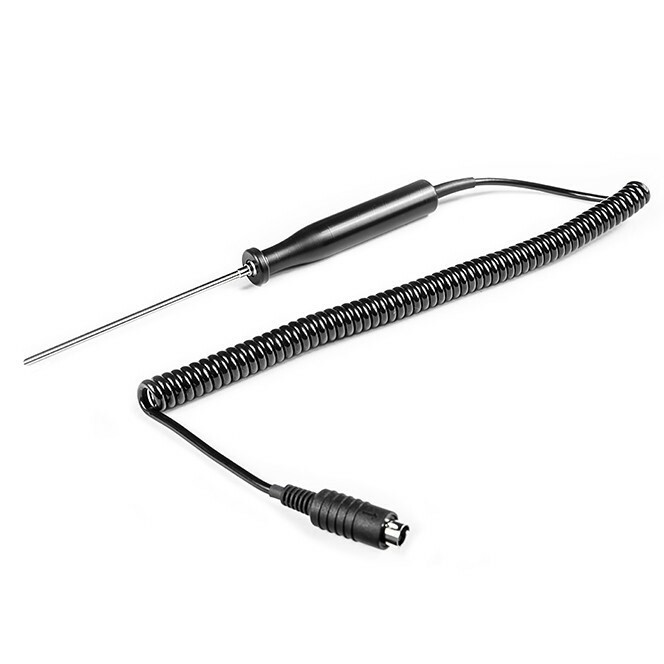 Comprising of a handle, 2 metre coiled cable and Type mini plug. A semi flexible construction allows the probe to be bent or shaped for hard to reach applications. 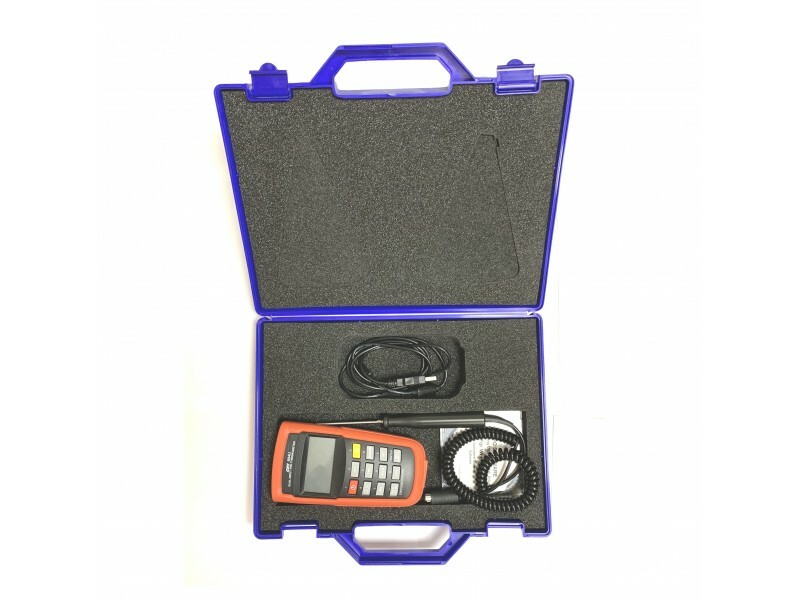 They are suitable for use in corrosive material tests and high temperature molten metal measurements. 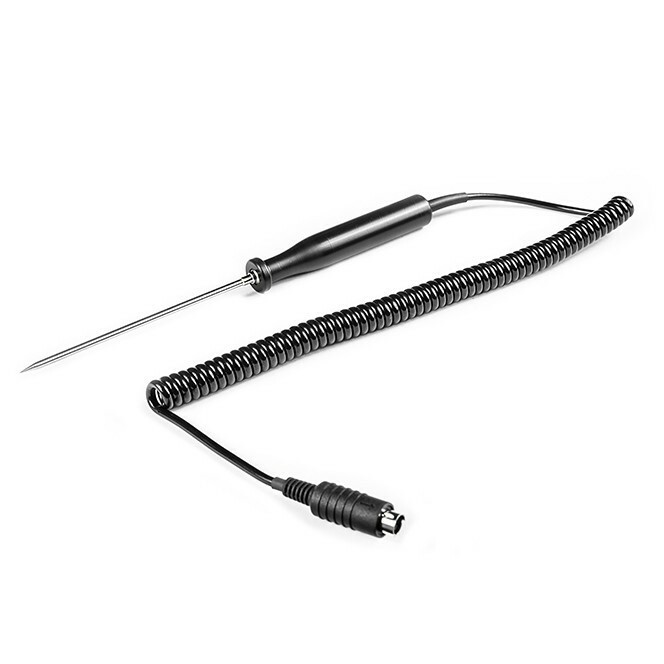 316 Stainless Steel Air Probe with a vented sheath for general air temperature measurement. Comprising of a handle, 2 metre coiled cable and a mini plug. Operating Humidity 0°C to 50°C at<70% R.H.